In a 348 to 274 vote taken Tuesday, the European Parliament (EP) passed a revised version of the proposed EU Copyright in the Digital Single Market Directive and sent it on to the Council of Europe for approval by Council representatives. "The deal aims at enhancing rights holders’ chances, notably musicians, performers and script authors, as well as news publishers, to negotiate better remuneration deals for the use of their works featured on internet platforms." "Uploading protected works for purposes of quotation, criticism, review, caricature, parody or pastiche has been protected, ensuring that memes and Gifs will continue to be available and shareable on online platforms." Material posted in a non-commercial way to online encyclopedias and open-source software platforms would be exempt. "Start-up platforms will be subject to lighter obligations than more established ones." "...we look forward to working with policy makers, publishers, creators and rights holders as EU member states move to implement these new rules." "We will continue to engage with EU member states and civil society as the implementation process evolves." Google has intimated that it will shut Google News down across Europe if Article 15 is implemented. Per EU rules, the final version of the Directive will have to be implemented in the laws of each EU member state by 2021. Notice that last sentence, above. Unlike the GDPR, which is an EU Regulation that became law EU-wide upon passage, implementation and enforcement of the Copyright Directive will be the responsibility of each of the 28 (or 27 if you discount UK) EU member states. Consider the difficulty tech companies will face in trying to comply with 27-28 different sets of rules created by 27-28 committees comprised of politicians and bureaucrats, each with its own agendas and axes to grind. And consider also that passage of this legislation is going to give other political jurisdictions - countries, regions, states, provinces, cities - ideas about creating their own copyright laws. 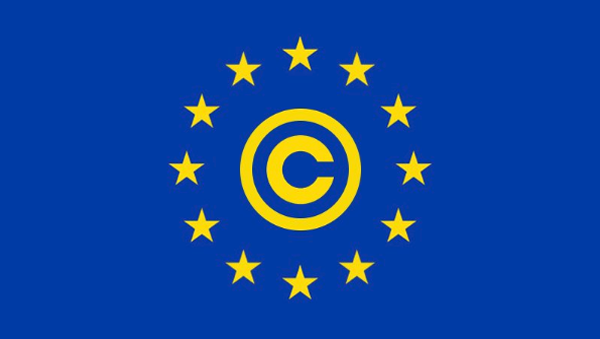 This EU Copyright Directive is going to change the Internet forever.